Passionfruit, also known as granadilla, is a small, round, purple fruit, brimming over with an intensely flavored and succulent seedy pulp. This luscious tropical fruit is a perfect choice for health-conscious people, since it is low in calories. Despite its small size, it is loaded with antioxidants and fiber, in addition to a host of vitamins and minerals, which are favorable to your overall health. Once the purple shell is broken through, the center reveals crunchy seeds surrounded by a sweet, orange juicy pulp that contains the real goodness of the tropics. 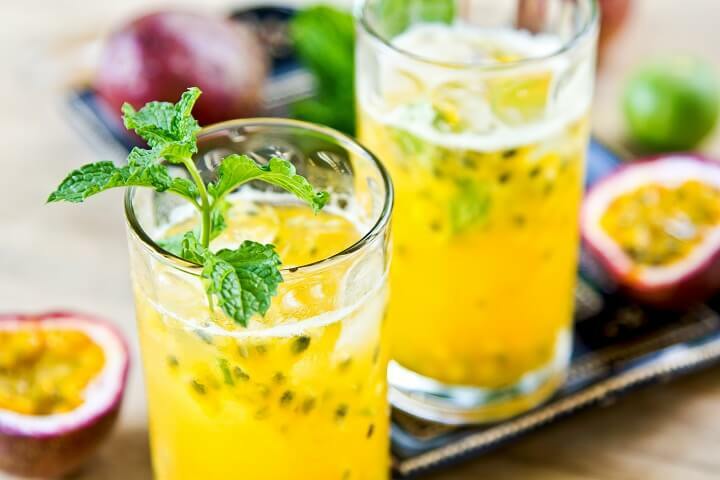 From beverages to smoothies to desserts, passion fruit can be incorporated in some fabulous recipes which can leave you swooning in a gastronomic delight. Here are some super-sweet ways to use this highly nutritious, mysterious, and intriguing tropical fruit to satiate your sweet tooth. Passionfruit pudding cake is a tropical dessert magic that is a complex blend of sweet, partially tart, citrusy and refreshing all at once. 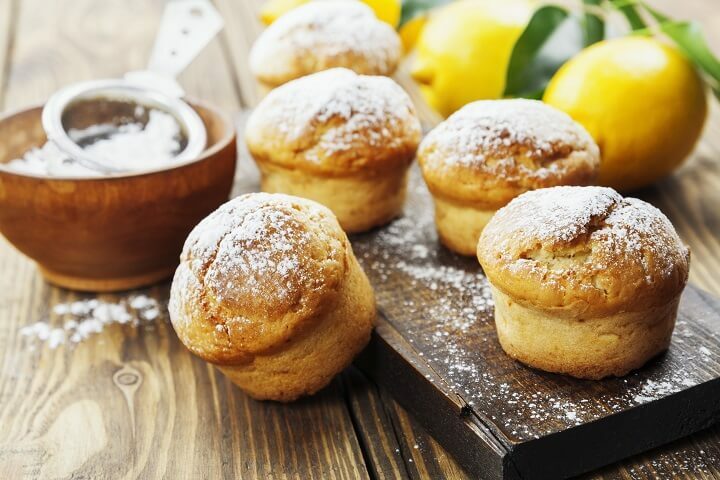 To prepare this yumilicious treat, you need passion fruit puree, eggs, sugar, melted butter, milk, flour, and lemon juice. In addition to its bewitching array of flavors, this wondrous dessert splits up into two amazing layers when it’s baked; the top rises into a mousse like peak, while the bottom transforms into a tangy, creamy pudding. With its light as air texture and bright taste, try this luscious treat as an after-flourish to a royal meal. If you want to prepare this Italian classic dessert with a tropical touch, you cannot get better than this rendition. Prepare this delectable sweet delicacy with passion fruit, gelatin leaves, cream, caster sugar, milk, buttermilk, and vegetable oil. 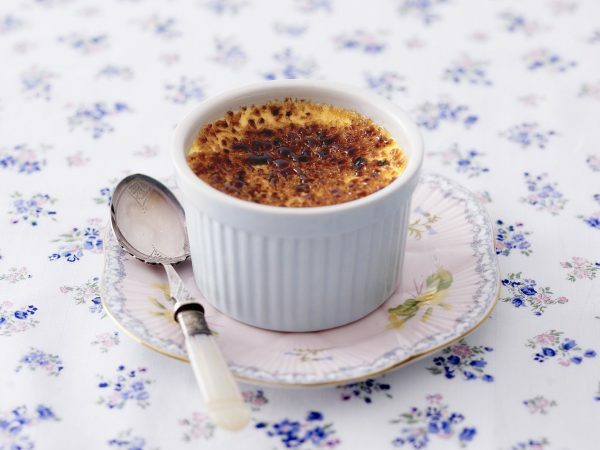 Passion fruit introduces just the right refreshing and bright contrast to this silky dessert. This nutrient-rich tropical fruit is a perfect choice to incorporate in refreshing summer coolers. 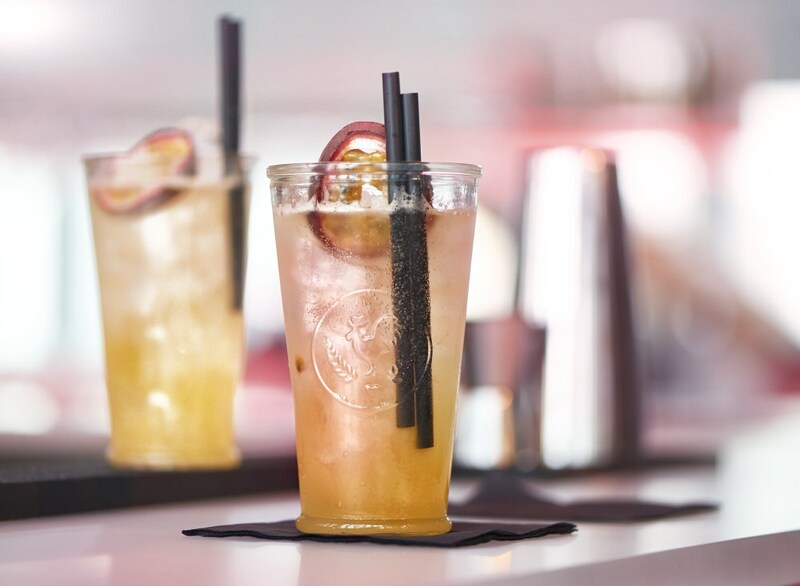 Passionfruit mojito will be your new summer favorite. To concoct this rejuvenating cocktail recipe, you simply need to blend together passionfruit pulp and juice, mint leaves, sugar, lime juice, and club soda, until everything looks well incorporated. Toss in a handful of ice and feel instantly invigorated! Say goodbye to custard slices – this mesmerizing recipe results in a show-stopping dessert that’ll leave your guests licking their fingers. This caramelized tart has a wonderful flavor achieved with egg yolks, caster sugar, cream, and passion fruit. You should give this decadent dessert a try at a good Indian restaurant in Saint Kitts. 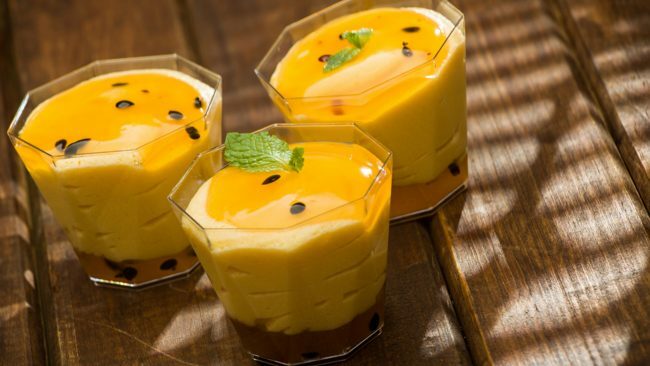 Make the most of passionfruit by preparing this delicious mousse that has a distinctly tropical flavor. It is a little tangy and tart, perfect for those who don’t like extremely sweet desserts. You need passion fruit pulp, caster sugar, condensed milk, and cream to whip up this deliciously out-of-this-world mousse in no time at all. Try this simple passionfruit cake recipe prepared with flour, baking powder, baking soda, passionfruit puree, plain yogurt, sugar and unsalted butter. I must say that it is the best version of passionfruit you should try to conquer your sweet cravings. 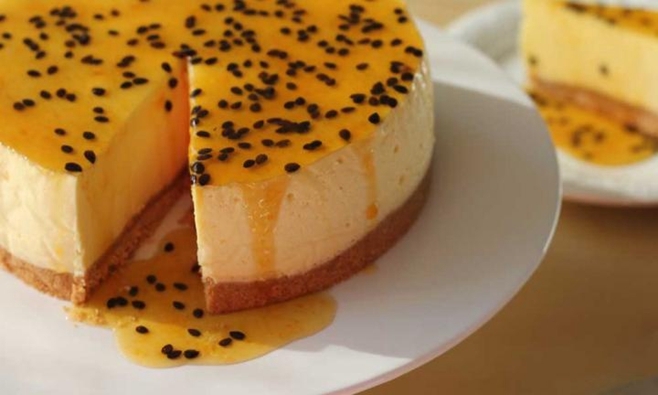 Another delectable version of passionfruit that is a perfect balance of tart and sweet is passion fruit cheesecake. This sweet indulgence has a tart and tangy passion fruit topping that adds a perfect flavor to cheesecakes. 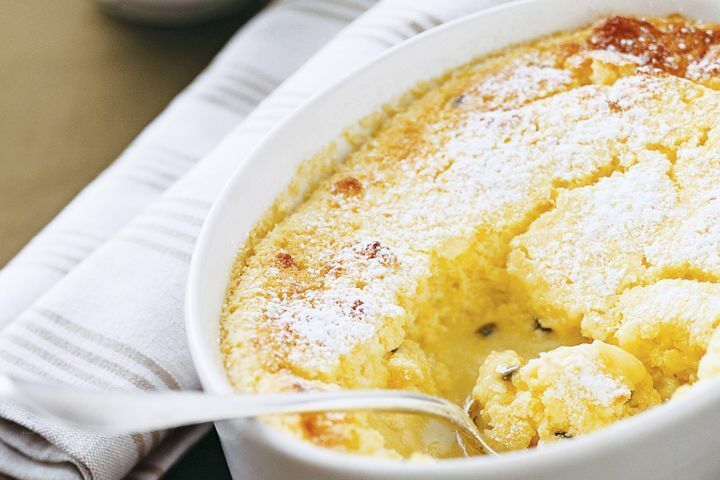 You need plain sweet biscuits, unsalted butter, cream cheese, castor sugar, lemon zest, lemon juice, flour, and passionfruit pulp to concoct this amazing passionfruit dessert. Whenever life hands you passion fruit, make a cheesecake! You should try these coco-nutty, creamy delights prepared with coconut milk, cashews, eggs, desiccated coconut, honey, flour, and passionfruit pulp. 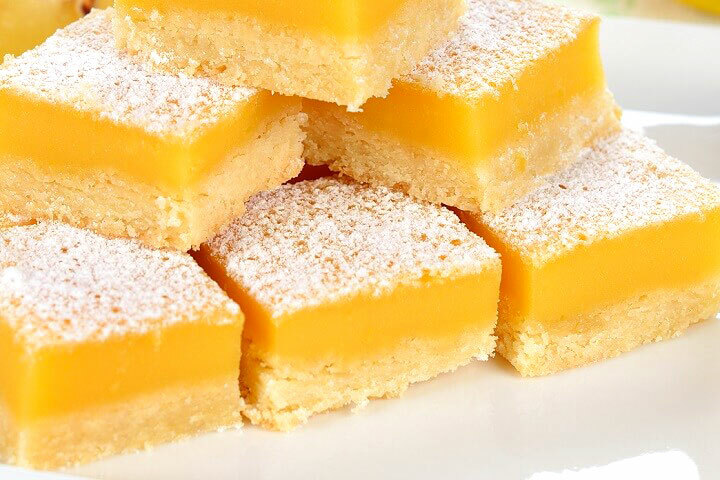 You will love these creamy and tasty bites of coconut passionfruit bars, incorporating a magically tropical tang. This fruity cocktail is a mélange of passion fruit, lemon juice, caster sugar, and vodka. It is light and refreshing, perfect to beat the scorching heat of summer. The crisp crust paired with a soft Pavlova incorporating a lime cream and a generous topping of tropical fruits, is a perfect dessert recipe for your summer dinner parties or even brunches. 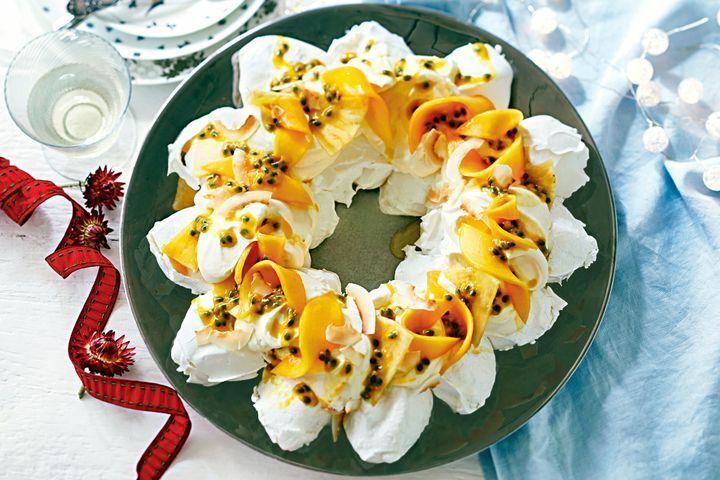 You need egg whites, caster sugar, corn flour, white wine vinegar, vanilla extract, passionfruit, mangoes, and pomegranate seeds to prepare this amazing meringue-based dessert.